Diagnostic tool that comes with StoryServer. 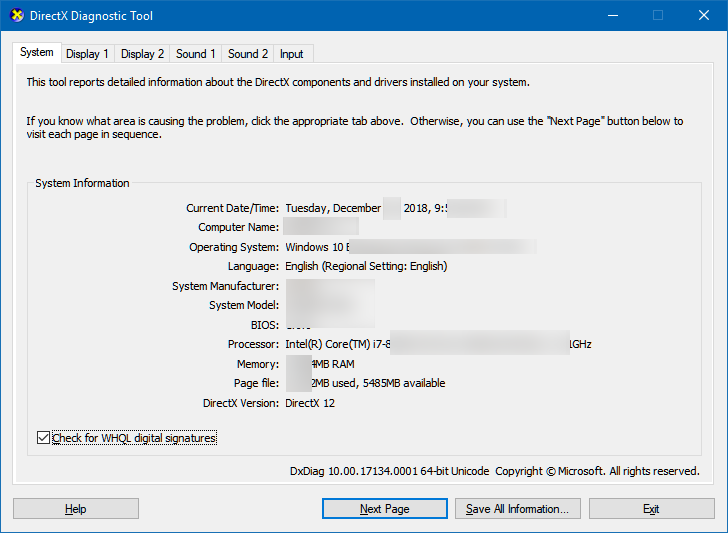 How to activate DirectX diagnostics. There are 2 diagnostic tools shipped with StoryServer. Help > Diagnostic > StoryServer Configuration, Diagnostics, and Uninstall Wizard. Certain settings may be unavailable in macOS and Linux. The inspiration for this bug-reporting system is from Microsoft "WSYP" program. Here are the details on the Microsoft "We Share Your Pain" program, introduced by the Microsoft UK team. Did you know that 1% of bugs caused an incredible 50% of all product errors? Thanks to our StoryServer Diagnostic error box, as a result we reduced product errors in our products by over 80%. The success of this feature has encouraged us to extend and enhance it for you the professionals we know that your job depends on stable products and as our research has shown the pain of product failure is real we believe that if our customers are experiencing pain, our employees should share that pain with them. This is where we share your pain or we sip comes in it’s really fundamentally about making us as programmers as developers the techie side of things if you like making us more accountable to the people that are using our products. 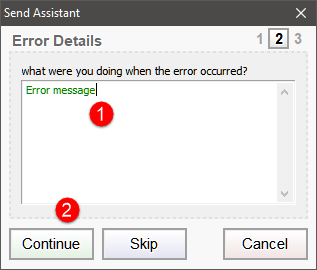 An error box comes up like this one for example what the we sip system does is actually analyzes the stack sent back by that error dialog box and it uses that to identify the person the actual programmer that wrote the piece of code that’s caused the problem. The below will send a diagnostic report to the developers at Polywick Studio. Copy the messagebox to clipboard. Click or touch the OK button to go to Part 2. 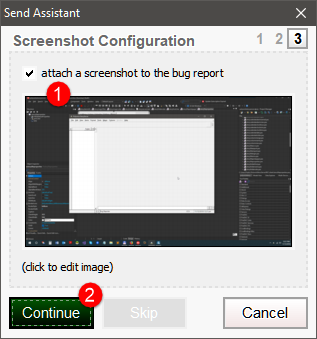 Click or touch the Cancel button to cancel this task. After selecting OK, Please enter your email address and name. Click or touch Continue to go to part 3. 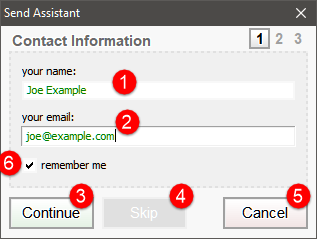 Click or touch Cancel to cancel this task. Click or touch Continue to go to part 4. Click or touch Continue to send the bug report to Polywick Studio. The below menu will activate DXDIAG, DirectX Diagnostics.